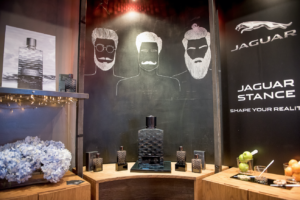 Jaguar Stance is the Striking New Addition to Jaguar Fragrances collection – Art, Food, Travel and Fashion! 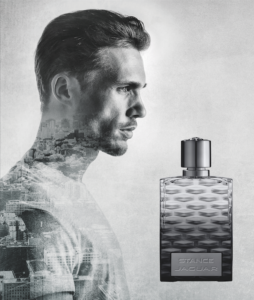 Jaguar Stance Fragrance is designed for a creative, independent man who shapes his own future, the luxury brand’s new perfume matches a distinctive, pulsating scent with a highimpact, textural bottle design. Inspired. Inspiring. Individual, yet hyper-connected to the world, both real and virtual. A free spirit who seeks authenticity, you are the author of your own existence. You decide who you want to be. And you want your fragrance to engage you at every level. As a self-confident statement of your style. As a creative, sensory experience. As the lasting memory of the many exciting moments in a vibrant life. Created by Richard Ibanez, the powerful masculine accords of Jaguar Stance make an exciting, modern statement. In the top notes, a bright shot of mandarin and a crisp, juicy apple note are textured by citrusy cardamom, tingling pepper and aromatic nutmeg. The heart reveals a potent blend of iconic woods. The smoke and flint of vetiver. The velvety depth of patchouli. The musky, sensual smoothness of cashmere wood. In the drydown, musk, amber and vanilla bring comfort and sensuality, adding another, complex layer to the potent blend, turning Jaguar Stance into a thrilling sensory experience. And a memorable olfactory signature.